Home / Posts Tagged "saratoga"
The Curry-Butner Wedding. Saratoga, Calif. 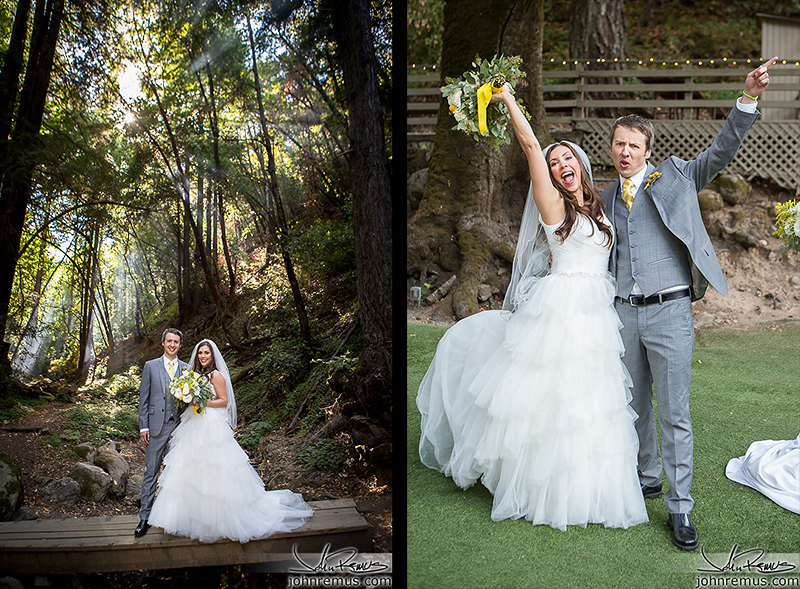 The Curry-Butner Wedding at Saratoga Springs in Saratoga, Calif… a beautiful setting for a really gorgeous wedding. Being able to be part of the Nicole’s and Rob’s weekend was awesome. I’ve known Nicole for 12 years… TWELVE.YEARS. Crazy right? I met Nicole back when we worked at Paramount’s Great America. It’s a theme park and we both worked in the Entertainment department. She was a dancer and performer, and that particular season I was part of the Special Events technician crew. Nicole was part of the Nickelodeon show, a show that I was a performer in for two years prior to her joining the cast. And I’m really disappointed that I don’t currently have copies of my photos from those years with me. They’re all back home in SoCal on my storage and archive drives. So sadly I won’t be able to share those with you guys – though I’m sure Nicole is breathing a sigh of relief right now that there are no Nickelodeon or Scooby show photos posted up. Haha! But they exist. ; ) ha! I always had a lot of fun memories of working with Nicole those many years ago during that season. I also rode along with her down to Disney one time with another co-worker Nikki to join the rest of the Nick cast for a weekend at Disneyland in Anaheim. We even ended up in the parade as the guest-performers who danced along with the various characters. OH MAN. I just found TWO photos from that trip on a folder on my server that I thought might have a couple images. Yesssss… hahaha! So the left photo is all of us at the Sword in the Stone anvil. I’m on the top left and Nicole over on the right obviously. 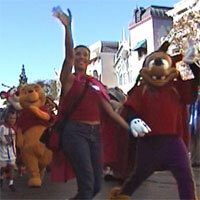 And the other photo is Nicole and Max (Goofy’s son) in the parade. One of our friends at the time recorded the parade with my camera so that’s a video still, actually. Woo! Anyway, over the years as we all grew up I’ve been bouncing all over the world, country, and state but we’ve both kept up on what the other was up to. When Rob proposed to Nicole she said that I was among the first people she wanted to get in touch with to see if I was available to come to the Bay Area and shoot her wedding! Always so very flattering. I finally got to meet Rob a few months back when we all went out to dinner. Wait, that was the first time we met, right? I think so… Honestly seeing their posts about running, and my joking that they should be in SoCal so I can train with them, etc has made it seem like I already knew Rob.. And certainly made it feel like far less than five or six years (at least) since I had seen Nicole in person the last time. As their wedding weekend approached it was fun to see/hear Nicole’s excitement escalate in her messages/emails as we went over just a few last details as things got closer. Sometimes people get stressed out.. but that certainly wasn’t the case with Nicole. And I honestly think her excitement made me that much more excited as well. The entire weekend was a blast. The ceremony was beautiful. Nicole looked amazing in her dress and Rob was super sharp in his new suit. As always I’m going to share more in the captions below. So, click the break. Read on! And check out nearly 400 images from Nicole and Rob’s wedding at Saratoga Springs!! A short while after officially tying the knot, Brandon and Cassidy threw a party and reception for friends and family – and they brought me up from Los Angeles to shoot it all! The Clarks are two old friends from high school… two friends that I haven’t seen in 10 years, however, like many people, we all know what each other are up to through Facebook and other mutual friends. I was contacted by Cassidy a few months back and asked what it would take to get me to the Bay Area to shoot her wedding reception. Her and Brandon had married earlier this year and they were now going to have the reception separately for friends and family. It turns out that Cassidy checks out my photography from time to time and was hoping that I could shoot for the both of them! How awesome is that. And I travel to the Bay Area frequently as many of you readers may know, so a trip up was no problem at all. The party was a blast. It was crazy to think it’s been so long since I’d seen some of the people there. Brandon and Cassidy are the first people I’ve shot for that I went to high school with, so there were a number of familiar faces there that day. Brandon and Cassidy have truly gorgeous wedding photos. Seriously, whoever they had shoot for them during their private San Francisco ceremony did an awesome job – and I’m very particular when it comes to other people’s wedding images. So when it came down to shooting their reception, Cassidy said she wanted plenty of shots of everyone just having a good time. 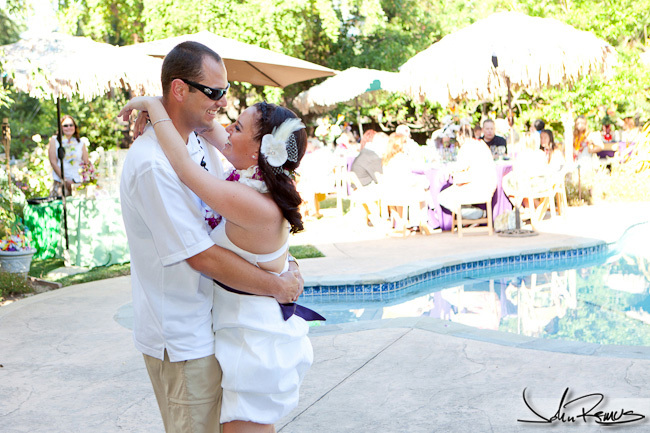 Their reception was outdoors in Saratoga (the South Bay) and had a Hawaii/beach theme to it. It was bright, sunny, and mid 80s when we started. Haha! And anyone who’s ever picked up a camera knows that means there is going to be some strong light and harsh shadows. But, despite the tricky lighting, I made the best of what was a really gorgeous afternoon. Check out the images below! Sorry for the delay for those of you who were waiting so long.